Your wedding is coming up, yet the sales right now are amazing. When we take a hard look at how the sales now could save us money on the wedding later, it is a good idea to stretch our budgets with the holiday sales. Thought I would share how it is possible to save money on special items for the wedding at this time. #1 .....The event professionals generally put their prices up in January. If you have interviewed and really like a specific vendor, then get them booked with your deposit prior to price change. #2 ... The Black Friday Sales are on now!!. You know there are unique gifts for each of your bridesmaids. (matching earrings, bracelets, handbags, etc) buy them on sale now for 50% less. We found the GiftShoppingSales.blogspot.com helpful for new sales every week. #3... Loads of wine specials are going on throughout the holidays. If you know your favorite to serve, then scoop it up and store it. wine stores best laying on its side in a cool area (not freezing). #5 ... You have something in mind as a Groom's Gift - look through the sales items now. #6 ....Sign up for a Wedding Gift Registry early. 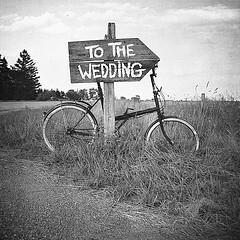 Review our past blog entries for exciting time saving, and fun ideas to plan your wedding. Finds links to hundreds of wedding venues in your region, the best wedding services, & how to information in our articles on "how to interview your wedding professionals" and open our "Best Style Wedding & Honeymoon" digital magazine found on WeddingLinks.co home page. There are two things to cover with weight loss. Your Fitness and your Diet quirks. Fitness is very important. Your arms, back and shoulders are very apparent in most of the dresses, so strengthening and firming are part of the perfect picture. Some holiday or party outfits can be quite revealing. Yes, I did say Diet Quirks. Examine your habits of eating. What satisfies you the most and the least. When do you feel full, does eating early morning start you eating more throughout the day? Do you snack at night? Do you get up in the middle of the night and find food or drinks. Do you run for food when you feel rejected or angry? Do you not like to cook? No time? Set forth to create a list of your favorite foods. Find out their calorie/fat content and dismiss any that are offensive. "I love cheese cake, but cheese cake does not love me".... and begin to drink five to seven 8 oz glasses of water a day. Please Drop the sodas, diet drinks, they are harmful to any diet. Replace sugar with natural stevia for your coffee or tea. You can get it in purse packets at Trader Joe and many markets. Fruit juice is packed with sugar and carbs!!!! Eat the fruit, your body and lower intestine will appreciate the bulk. Make a list before you Shop and Prepare a menu for the week with 3 meals a day and 3 safe snacks. You need a balance of protein, veggies and fruit. Alcohol, White flour and the GMO corn turns into sugar in your stomach. (added to all the other sugars we take in the prepared foods, you will find we all take in toooooo much sugar daily). If you hate food in the early morning - don't eat it - eat when you are hungry, fix a protein shake ahead in a thermos or grab a high protein power bar and take it with you to enjoy when you do get hungry. When you do eat, concentrate on the act of eating. Be social with humans - not the TV nor your cell phone. Concentrate on the beauty of the food, the taste and how good it is for you. Thank yourself for the effort you placed on achieving your goals. Add some flax seed to your diet and keep the lower intestine moving the toxins out. Understand as the weight begins to leave your body, most toxins we do take in over the years are stored in the fat cells. It is not unusual to feel foggy, headaches, etc as these toxins are being released through diet and exercise. Don't weigh every day....Be kind to yourself. Also understand when food is being re-introduced at the time of a wedding celebration, you will have the same type of reactions by re-introducing these rich foods and alcohol. Every week - on the ONE day that you choose. Eat your very favorite food. One portion to satisfy your yearnings. People do not fall off the diet wagon as easily when they do this. We understand how demanding jobs and careers can be to your ability to cook. Last but not least. There are amazing diet chefs and restaurants where you can pick up diet prepared foods. Check your area for these marvelous, creative people who often use fresh, local and sustainable ingredients.